Stand up for the 1 in 5 Marylanders living with a mental health or substance use disorder. 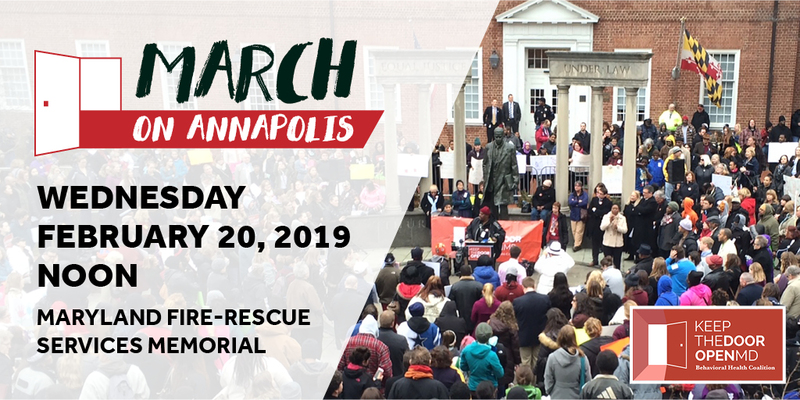 Join the March on February 20th and make your voice heard! Download a copy of the event flyer (PDF).